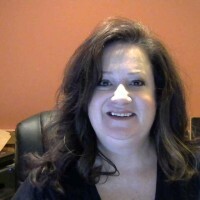 Susan Staupe has been involved with search marketing for over 12 years. She is currently a Digital Marketing Manager at Creative Graphics. Formerly of Nifty Marketing/NiftyLaw and FindLaw, her niche is legal online marketing for attorneys. In her current role, Susan helps small businesses in all aspects of digital marketing including SEO, Local SEO, PPC, search marketing, social media, mobile and more. She also is a Top Contributor to LocalSearchForum.com and previously served on the advisory board for Local CAB for Moz.com. When not analyzing over everything digital marketing related, Susan enjoys watching football and hockey, reading true crime books, is a lucky wife and proud Mom of a son and daughter.